Once you've created a Metric Set in the Library, you can assign it to as many clients as you'd like. When these metrics are assigned to a client, they will be able to update them at any time from the profile page on their TrueCoach account. 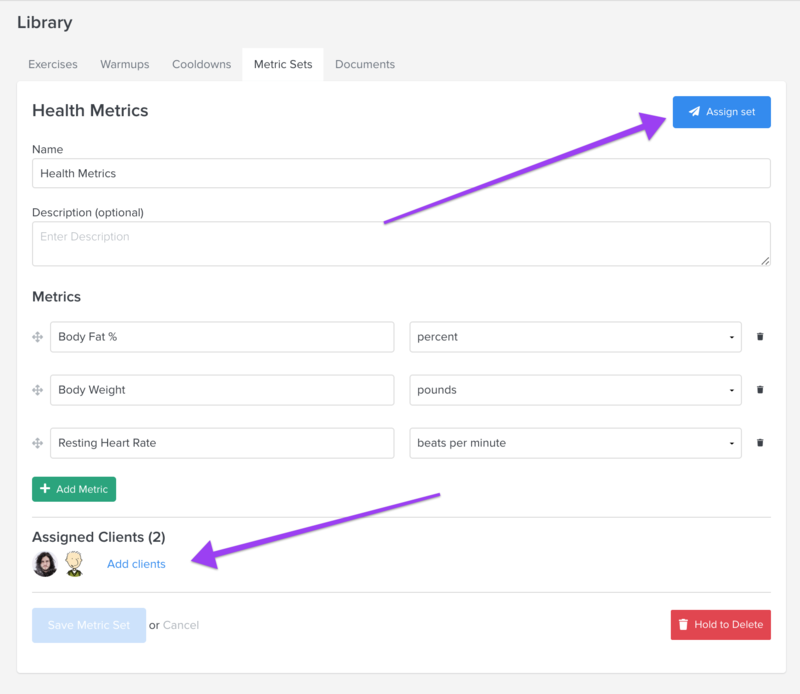 Clicking Assign Set or Add Clients will send those metrics to the sidebar on a client's workout calendar for you to view and edit. Want to assign to multiple clients? Hold down the Command key (or Ctrl) while selecting clients from the list. Much like assigning a metric set from the Library, you can do the same from the sidebar on their workout calendar. Adding a metric here will not add it to the metric set in the library....just like adding another metric to a set will not add that metric to the sets clients already have. 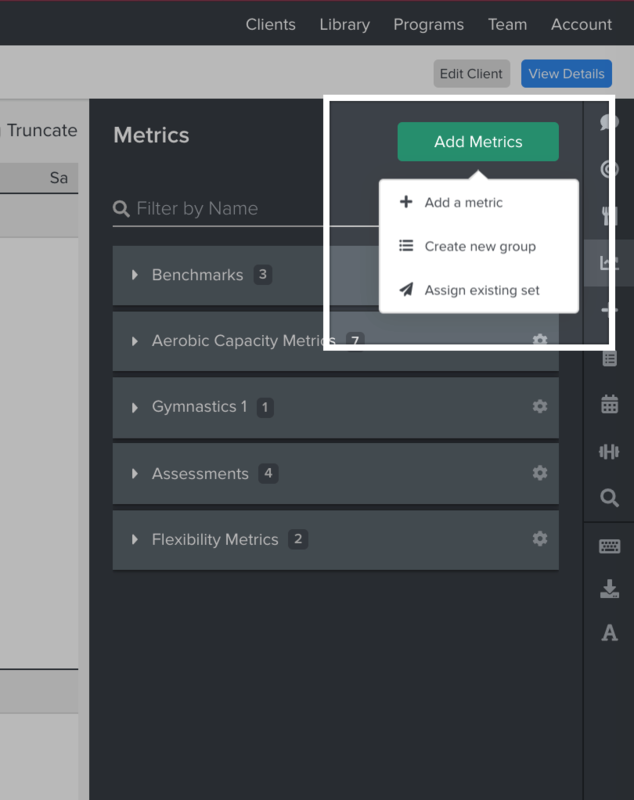 After clicking Add Metric you'll be able to create and assign a single metric, add a group, or assign an existing set from the library! Once that's saved, you are ready to start tracking progress!